Halifax artist Chris Joyce toasts the prime minister, in a manner of speaking. A blowtorch, 120 slices of bread, and a dream. 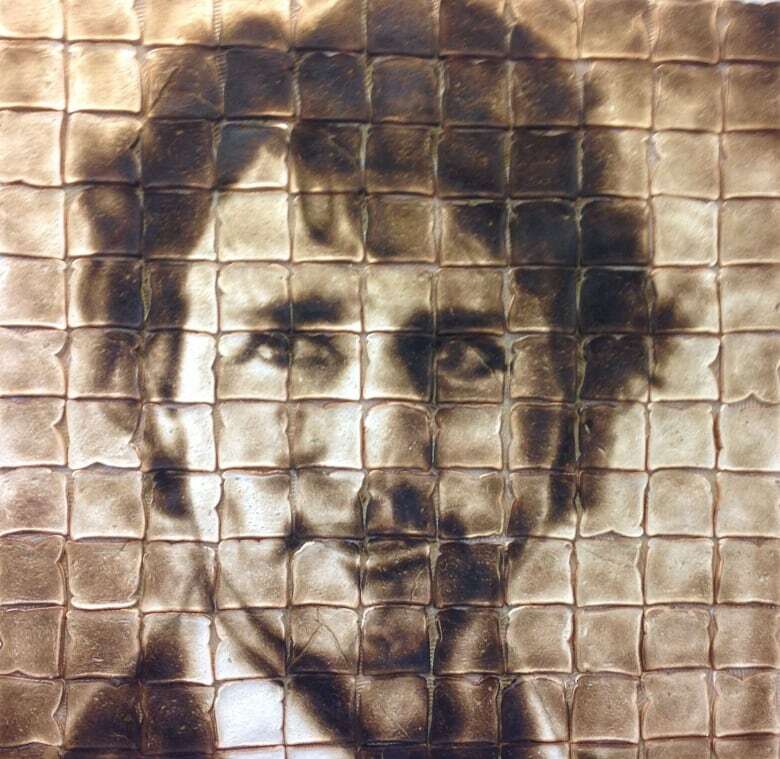 That's what it took for Halifax artist and designer Chris Joyce to create his toasty tribute to Prime Minister Justin Trudeau. Joyce's one-of-a-kind portrait of the prime minister was featured in The Breakfast Club, an exhibit put on by Argyle Fine Art in Halifax celebrating that most important of meals. "They knew I'd done a 540-slice Miley Cyrus before. Since Trudeau is in the media quite a bit lately, we thought we'd cash in on the pop culture aspect of our boy down in the U.S.," Joyce said. Joyce says toast is an unforgiving medium. The bread first needs to go stale before gluing it to the canvas. Then it's time to break out the blowtorches. "It's no different than most drawing techniques, you start light and work into the darks." The piece will have an unfortunately short term in office. The bread is shrinking with age and the gaps between the slices are widening. Over the weekend, the piece hung in the window of Barrington Street's Attica Furnishings, the store Joyce co-founded. "He'll be toast soon enough. Usually three or four days is the max, he's already started to distort." So what's next for this food artist? "I think I want to make a Trump out of marshmallows," he said, laughing.